Wow. I am overwhelmed, in the best of ways. As I have mentioned before, Andy and I recently launched Noumenal Space- a digital art gallery whose mission is to give back through art. 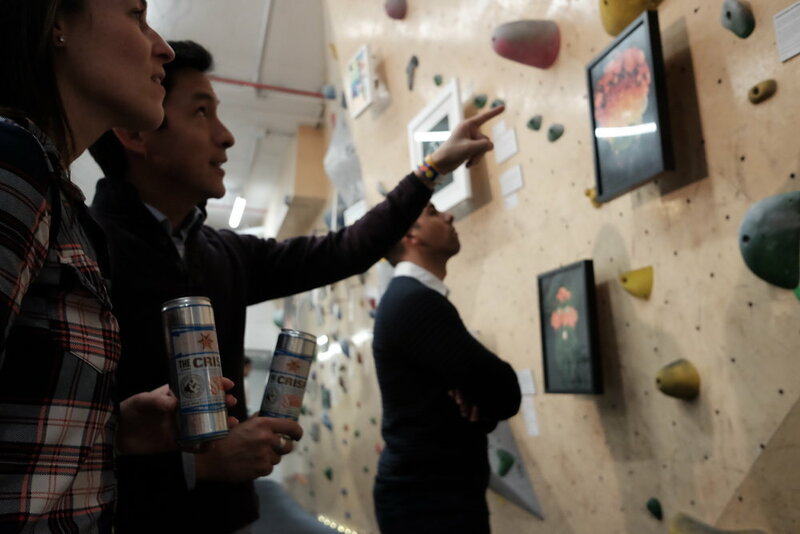 Last week we hosted our first exhibit at Brooklyn Boulders Queensbridge- a fundraiser for post-electoral human rights issues! The door fee went to The Bronx Defenders, while art sold went to the charity of the artist's choice. We sold out in advance, with 100 people in attendance, raising over $2,000 for various worthy causes. I am so thankful to my partner, our sponsors, and all the artists that helped make this happen!! Pat yourself on the back- you guys rock.